On Galena Mountain, the history of the Old Hundred is explained in guided tours. 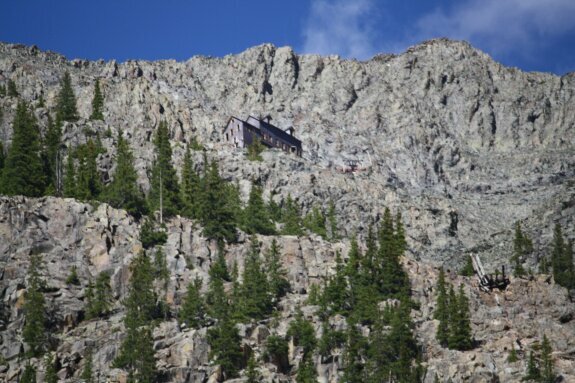 I do not as of yet have specific dates handy, but at one time there was a tram system which would carry men and supplies up the mountain from the location the tour starts to one of two upper levels. I've seen pictures from the top level and the views are amazing. 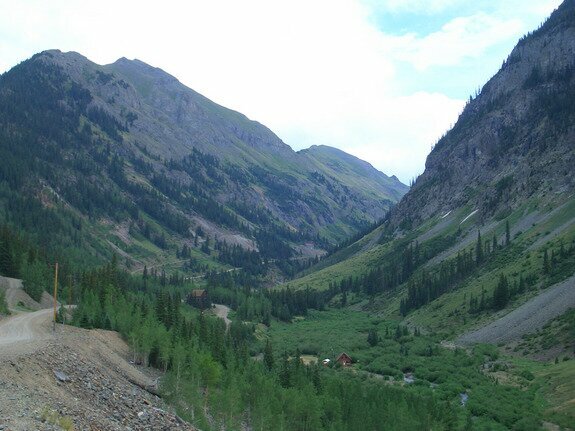 From the top, Silverton can be seen in the distance. 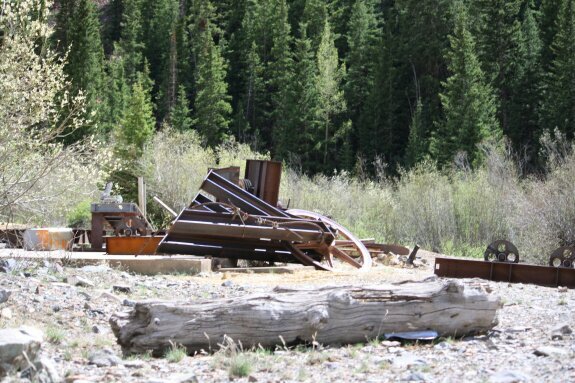 Another tram system went to the south down Cunningham Gulch to the Highland Mary mine. Ore was processed at the mill below the lower Old Hundred portal. I have moved the Mayflower mill to the museum category under articles, but this stays here because it was actually the site in which many men lived throughout the year. Displaying Old Hundred Mine photography page 1 out of 2. Date Taken: 2015:08:28 11:53:48 Want to use this image? See the More information tab. 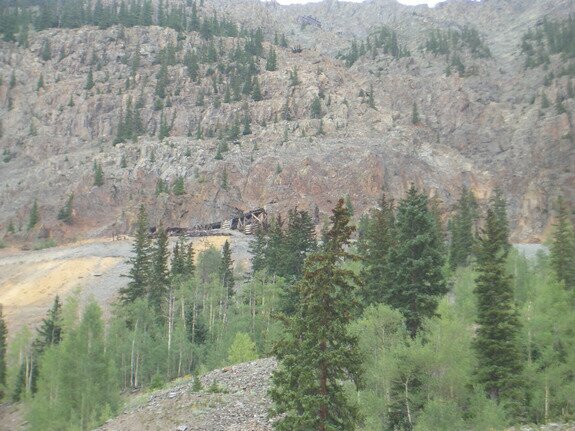 This is the mine drainage with the tour entrance to the right of this photo. Originally it powered the mill equipment below. Date Taken: 2007:07:17 15:17:10 Want to use this image? See the More information tab. The walls of the mill. Date Taken: 2007:07:17 15:17:16 Want to use this image? See the More information tab. 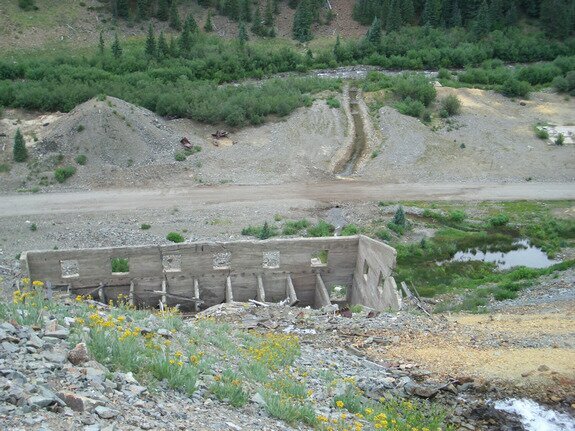 The upper levels of the Old Hundred Mining complex. Visible in the center is the middle level, with the upper level boarding house visible in the distance. (See full sized image.) Upper level has been stabilized recently. Date Taken: 2007:07:17 15:19:09 Want to use this image? See the More information tab. 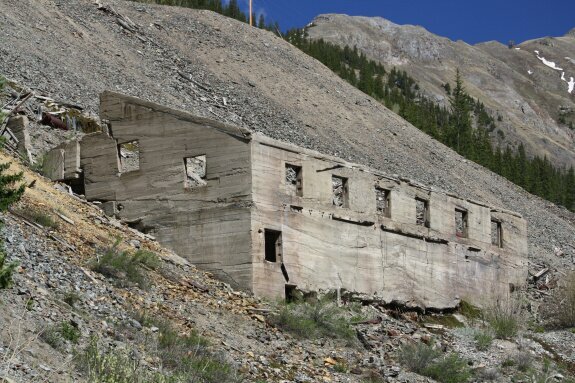 The Old Hundred shared its mill with the Highland Mary mine, around the corner ahead. Date Taken: 2007:07:17 15:20:09 Want to use this image? See the More information tab. Date Taken: 2007:07:17 15:21:38 Want to use this image? See the More information tab. Date Taken: 2010:06:05 16:09:48 Want to use this image? See the More information tab. Date Taken: 2010:06:05 16:10:45 Want to use this image? See the More information tab. The walls of the mill from below. Date Taken: 2010:06:05 16:10:51 Want to use this image? See the More information tab. Date Taken: 2010:06:05 16:12:11 Want to use this image? See the More information tab.